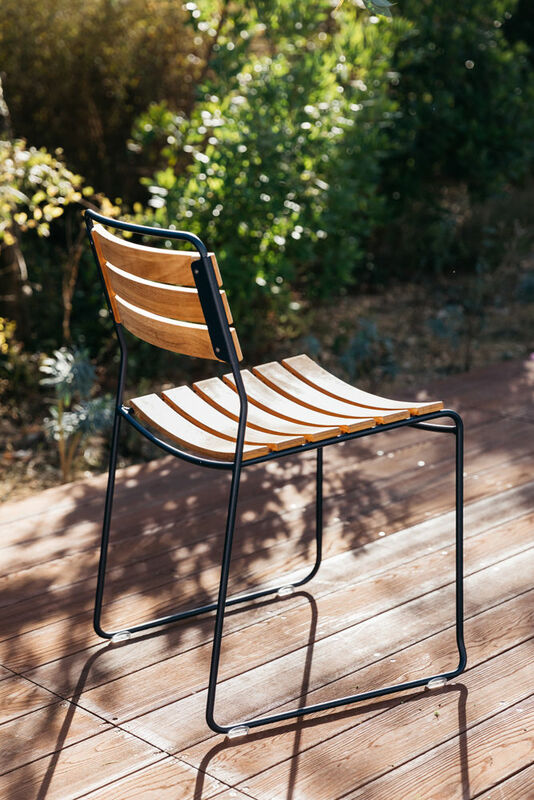 Characterised by clean and very graphical lines, the Surprising chair is made of slats attached to a steel wire aerial structure. A creation from the Austrian designer Harald Guggenbichler, she plays with togetherness! 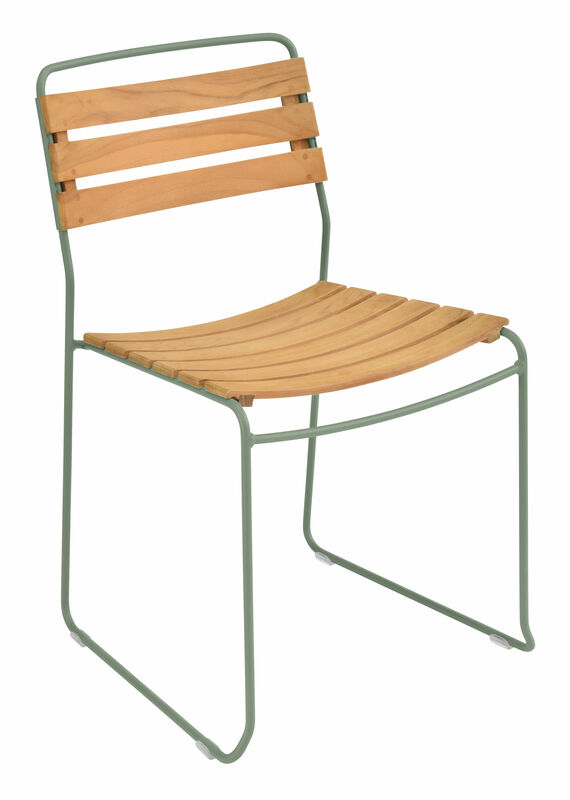 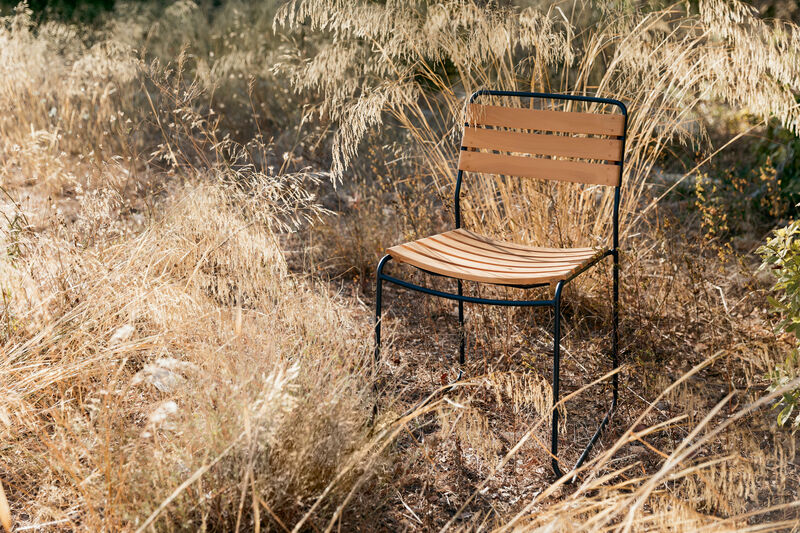 This version combines a painted steel structure with curved slats in Textrol® treated natural teak. 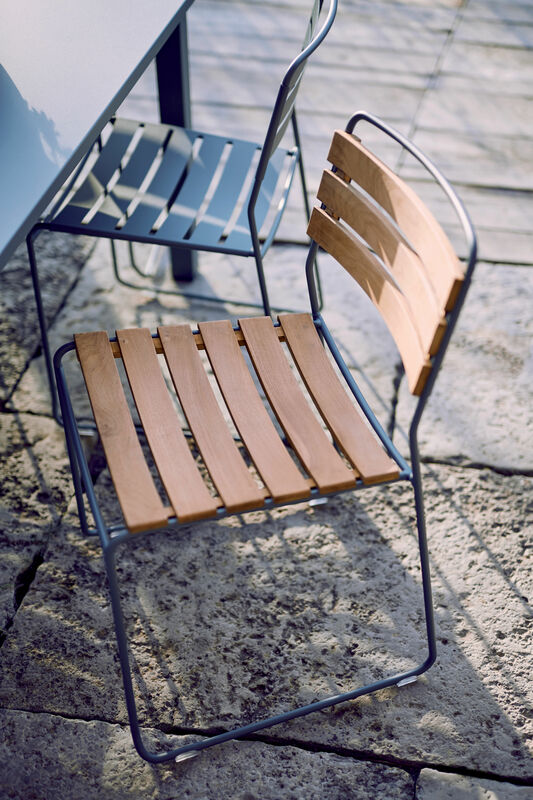 The slight bend of the slats ensures you optimal comfort.Protected against bad weather, the natural wood provides an authentic and warm look which contrasts prettily with the range of modern colours. 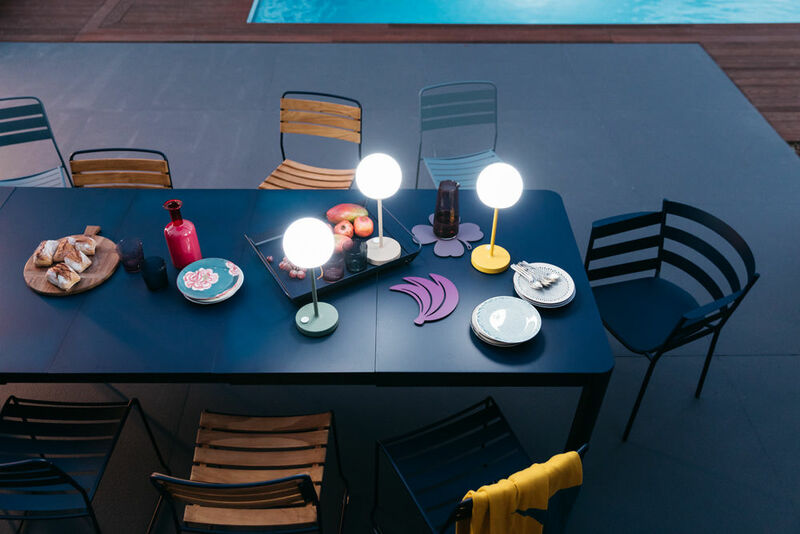 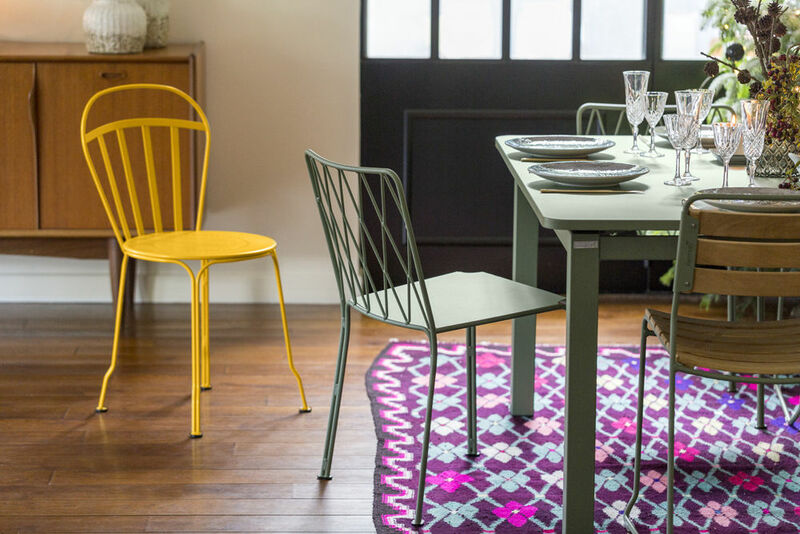 The chair comes in a multitude of vibrant colours. 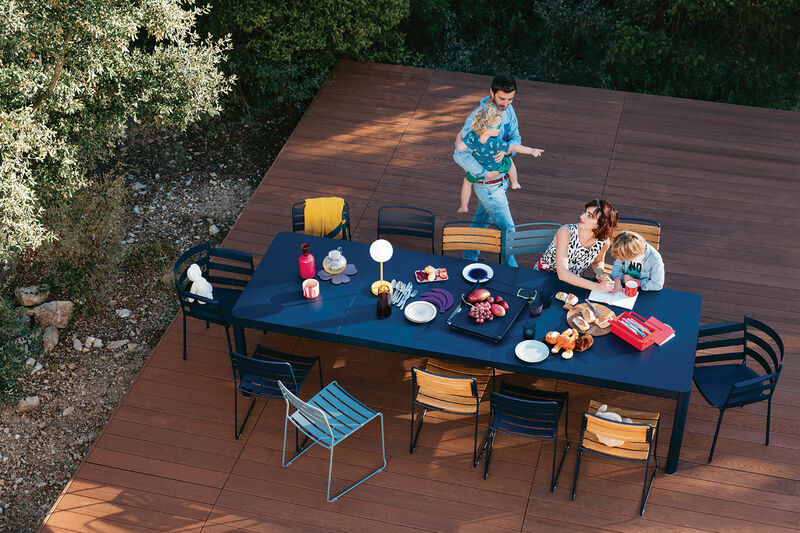 Made using processes and a technology which meets high requirements in terms of quality, Fermob products are fully Made in France, as shown by the location of the plant in Thoissey.